LG is preparing to unveil their next flagship Android smartphone, the G6, at Mobile World Congress next month. But before LG has been able to officially reveal their new handset, an image showing part of the device has leaked to The Verge. 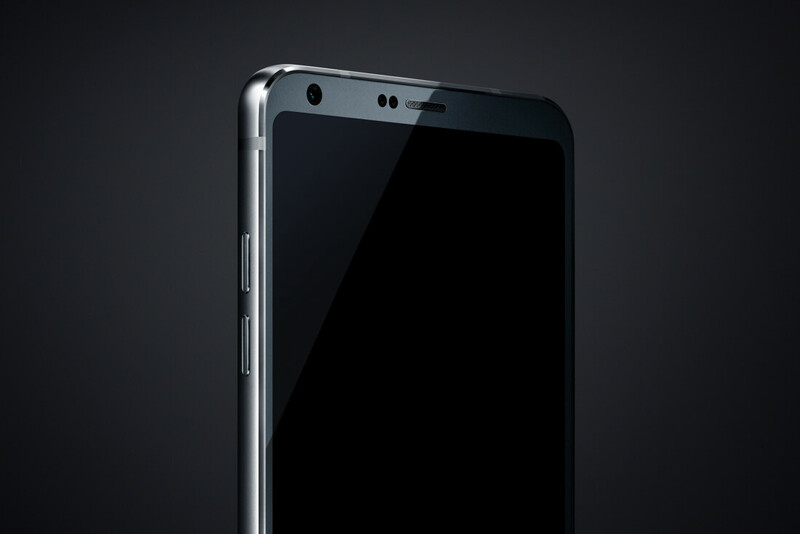 The image shows the top half of the LG G6, revealing a slim top bezel with a front-facing camera and several sensors. As has been rumored for some time, the G6 appears to use slimmer-than-normal bezels to maximize the amount of screen on the front of the handset. As was confirmed previously, the G6 will feature a 5.7-inch display with an unusual 2:1 aspect ratio. The G6 will reportedly feature a chassis constructed entirely from glass and metal. Well crafted metal edges are visible in the leaked image, and appear similar in design to several other flagships from 2016, such as the Huawei P9 and OnePlus 3. The G6 will not contain a gimmicky modular system, instead opting for a sealed battery and a fixed feature set. Other features we can expect to find in the G6 include a dual rear camera system, a waterproof body, a rear-mounted fingerprint sensor, and a headphone jack. It's believed that the G6 will use a Qualcomm Snapdragon 835 SoC as well. LG is set to launch the G6 on February 26, one day before Mobile World Congress 2017 kicks off in Barcelona. It won't go head-to-head with the Galaxy S8 this year, as Samsung has confirmed their new flagship will not launch at MWC.